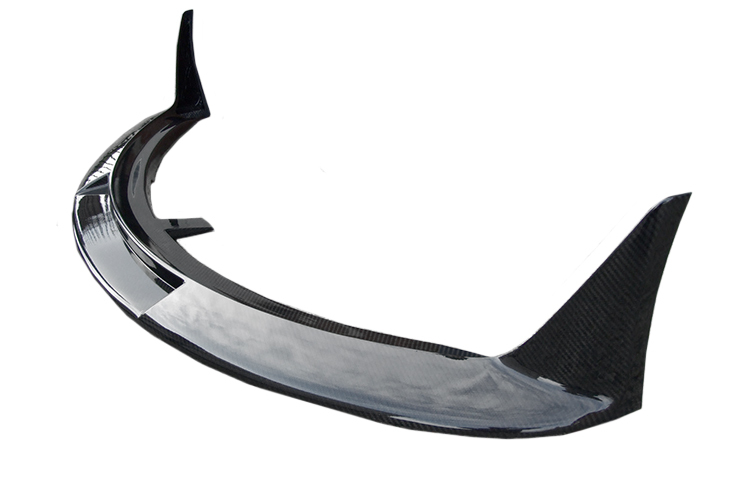 Lotus Exige S2 (pre-2010) Carbon Fibre front race spoiler for standard clamshell fitment with the important smooth blend underside-to-front clam, without gap to give increased downforce. Side tyre flicks also help to reduce tyre drag. Very easy to fit, no bonding to clamshell required, just one small rivet hole needed each side at the top of the side tyre flicks, otherwise uses all standard fixing points.